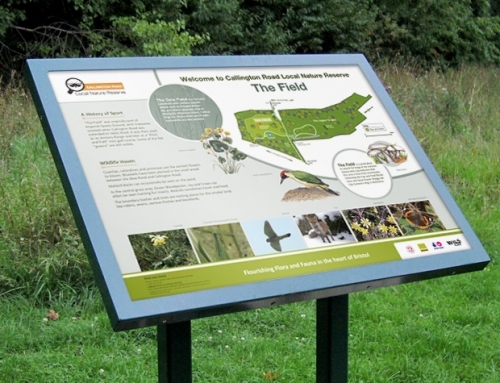 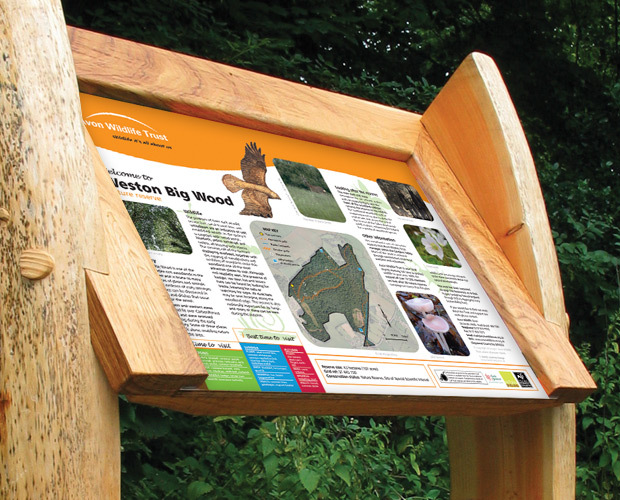 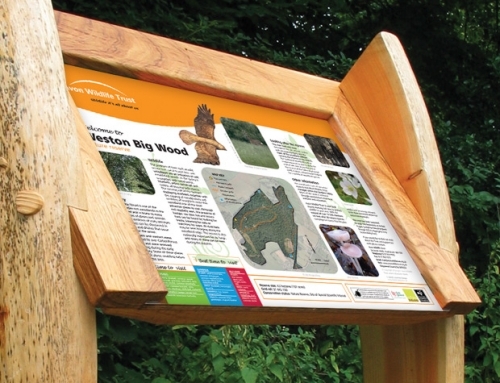 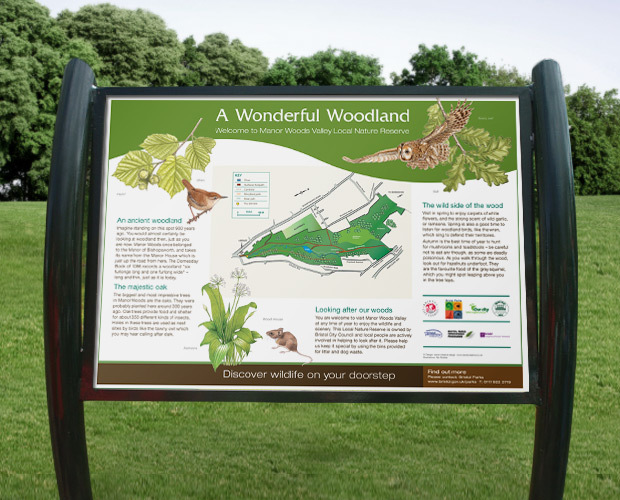 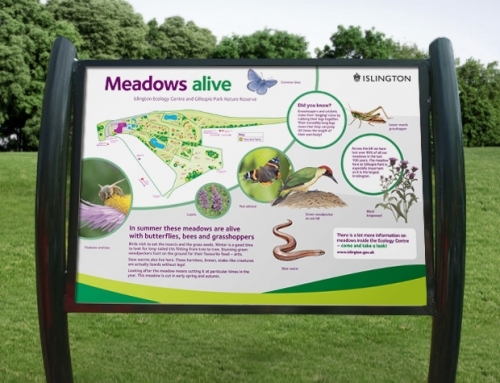 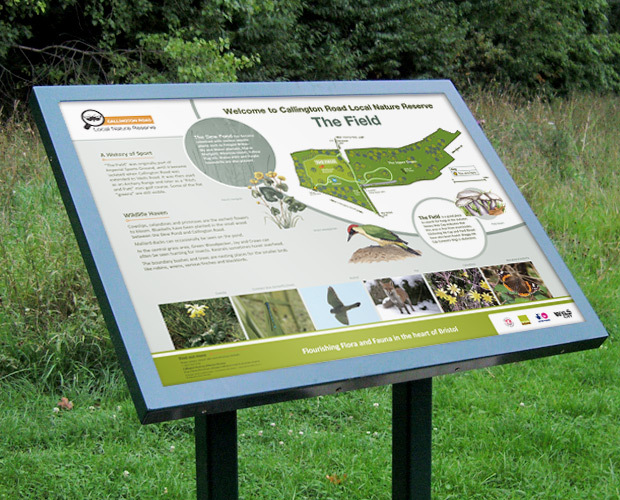 Bristol Living Rivers Project asked us to design interpretation signage for various local nature reserves. 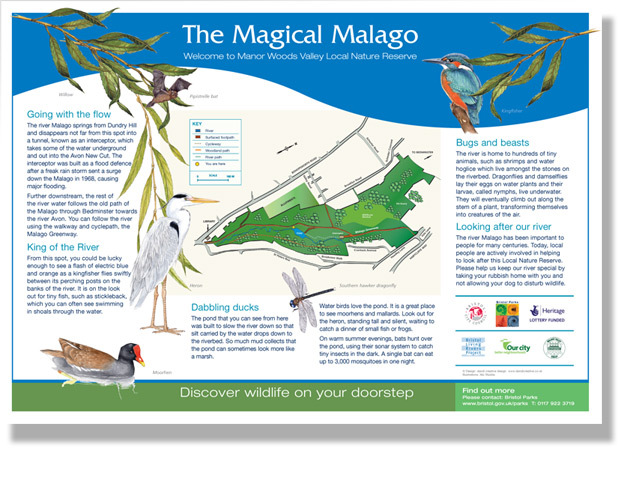 OBJECTIVE: To raise awareness, educate and inform visitors about Malago Valley Nature Reserves (walking routes and wildlife species). 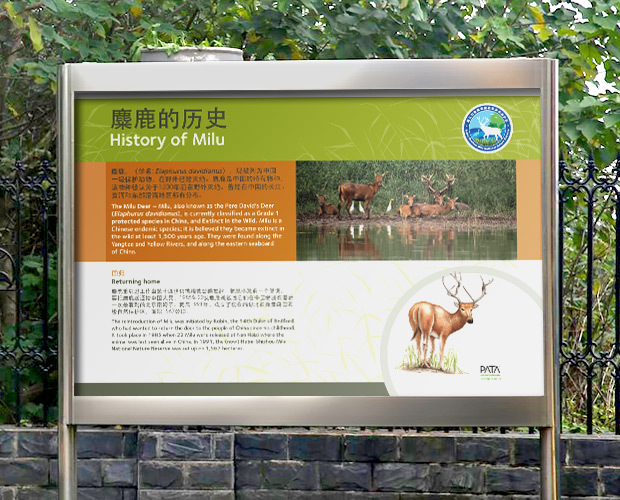 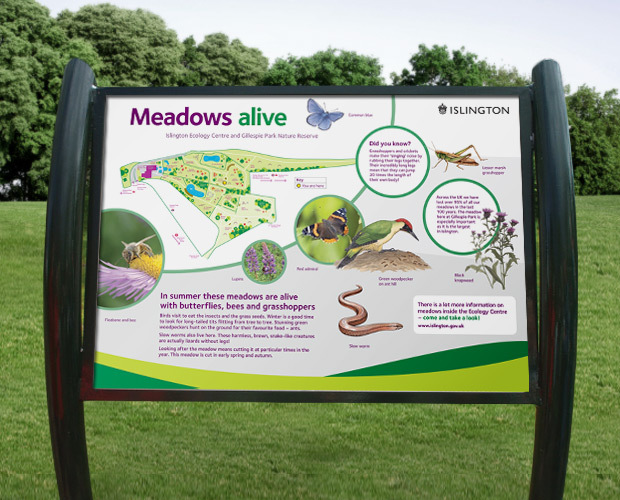 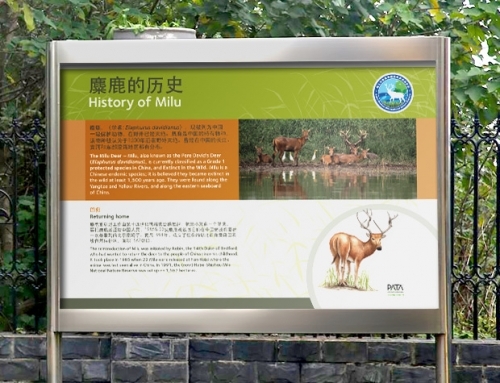 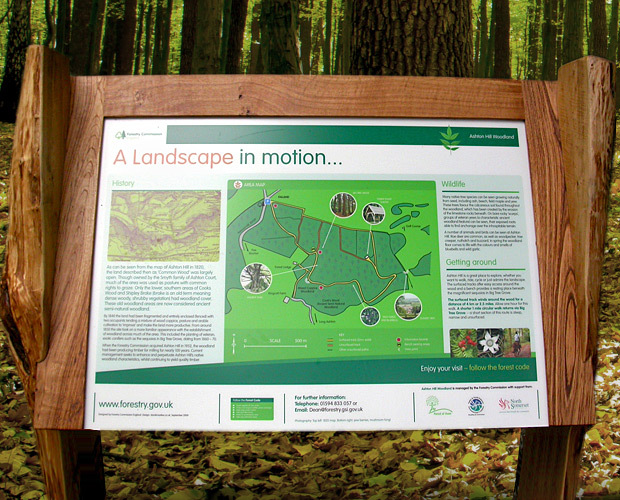 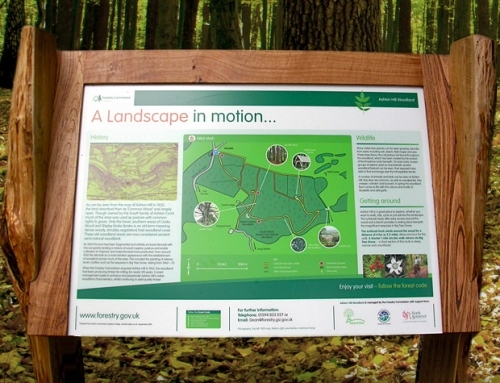 OUR SOLUTION: We created a series of fresh and engaging, illustrated A1 interpretation panels, designed and manufactured using sustainable materials.